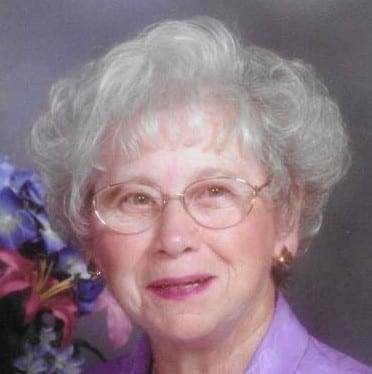 Betty Rose Gee Rutledge, 91 years, of Bryan, passed away Friday, September 14, 2018 in her home with her children at her side. Betty was born January 10, 1927 in Williams County, Ohio the daughter of the late Glen H. and Hazel F. (Sutton) Patten. She was a 1943 graduate of Bryan High School. She married Richard L. Gee on February 14, 1948 in Angola, Indiana, and he preceded her in death on May 16, 1974. Betty then married Roland “Ron” Rutledge on January 17, 1987, and he also preceded her in death on July 22, 1991. Betty worked for the former ARO Corp. in the Accounting Department two different times. She was a lifelong member of Pulaski United Methodist Church, as well as the Bryan Lioness Club, Taine Study Club, Bryan Red Hat Society, CBS Study Club and the Church Women United. She was an original Board Member of the Church Women United Thrift Shop, where she volunteered over 30 years. Betty was a devoted wife and mother, wanting nothing more than to care for her family, cooking their meals and taking care of their needs. She also enjoyed listening to music, antiquing and golfing. She loved 1940’s movies and music. She loved the time she could spend with her children and grandchildren. Surviving are her children, John M. (Susan) Gee of Cincinnati, Ohio and Kathleen (William) Gowins of Howard, Ohio; two grandchildren, Hilary (Bryan) Yelvington of Mount Prospect, Illinois and Gwendolyn Gowins of Lincoln Park, Illinois; one great-grandson, William B. Yelvington. She was preceded in death by parents and both of her husbands, Richard L. Gee and Roland “Ron” Rutledge. Visitation for Betty Rose Gee Rutledge will be held from 1:00 – 4:00 p.m. Sunday, September 16, 2018 in the Oberlin-Turnbull Funeral Home, 206 North Lynn Street, Bryan where funeral services will be held at 10:30 a.m. Monday, September 17, 2018 in the funeral home with Rev. David Tilly officiating. Interment will follow in Shiffler Cemetery, Bryan. In lieu of flowers, the family has requested that those planning an expression of sympathy are asked to consider memorial contributions be made to Church Women United Thrift Shop Scholarship Fund, 200 North Union Street, Bryan, Ohio 43506. Be the first to comment on "Betty Rutledge (1927-2018)"